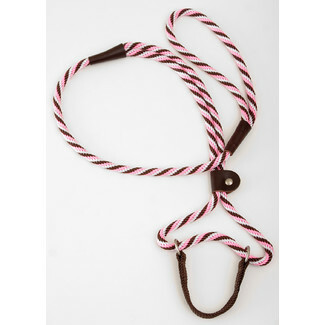 The Mendota® Dog Walker� is a martingale style lead and collar in one. Hand Crafted in the USA - this is a long time favorite with the agility crowd! 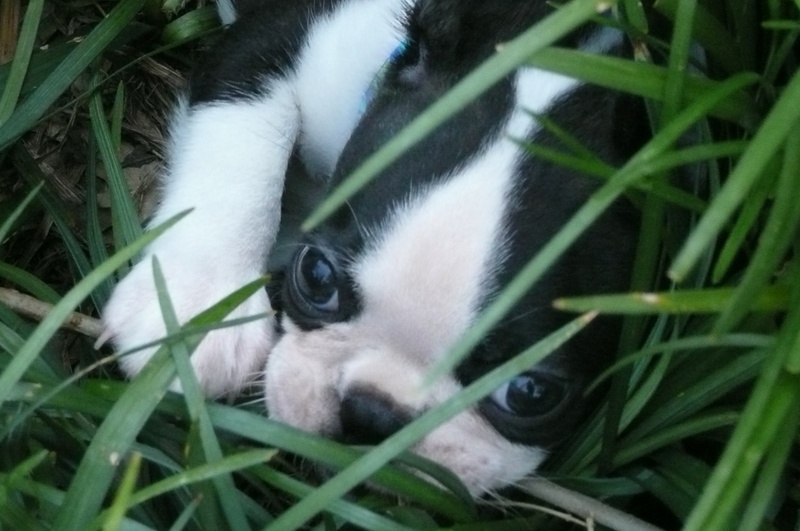 Fast becoming a favorite of every day dog owners. 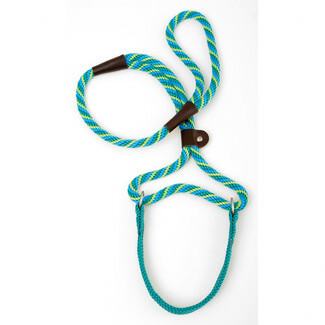 Made of waterproof, colorfast, durable multi-filament polypropylene solid core roping in all new fashion forward colors features new brushed nickel hardware and oil tanned leather splices. Features a 9/16� wide neck band made of the same durable polypropylene material. Easily removed and put on at the line, does not have constricting qualities of a choke collar. 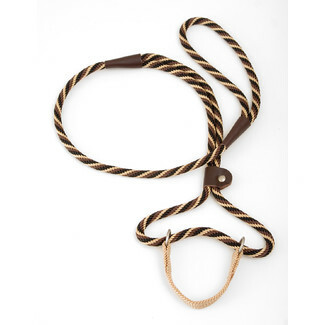 This martingale style leash and collar in one is designed for exercise, training, show and field. The soft and pliable neck band is accented with brushed nickel rings. All of the materials used are colorfast and anti-corrosive. Oil-tanned leather accents.